The makers of Kalank unveiled Varun Dhawan's character Zafar on 7 March. The actor shared the first look via his official Twitter account. Dhawan looks menacing in the scruffy avatar complete with kohl rimmed eyes. Karan Johar also shared the still, describing the character as someone who "flirts with life and danger". Helmed by Abhishek Varman, the epic period drama is going to be set in 1940s, around the hard times faced by India and Pakistan. 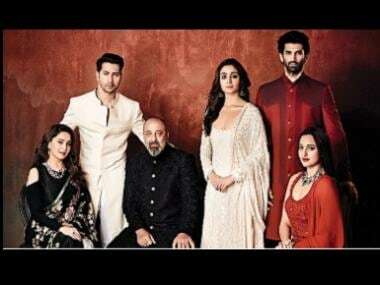 Kalank stars Alia Bhatt, Sanjay Dutt, Sonakshi Sinha, Madhuri Dixit-Nene and Aditya Roy Kapur. Johar on 6 March dropped the film's teaser and had in an Instagram post, recollected how the film was actually conceptualised by his father, Yash, 15 years ago. It was the last film he worked on before he passed away. Alia and Varun recently announced that they had wrapped up the shooting for the multi-starrer. 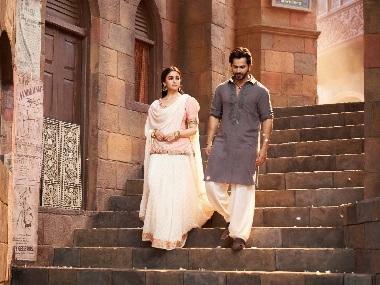 Kalank will be the duo's fourth film together. The film was initially supposed to feature Sridevi but she was replaced by Madhuri after the actress's untimely demise in Dubai last year. Slated for a 19 April release, The film is being produced by Johar, Sajid Nadiadwala, Hiroo Yash Johar and Apoorva Mehta. It has been co-produced by Fox Star Studios.